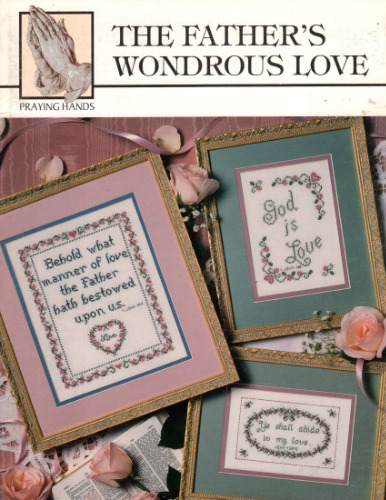 Praying Hands The Father's Wondrous Love Cross Stitch Pattern booklet. Mary Scott. Behold What Manner Of Love, I Have Loved Thee, He Will Rest In His Love, I Love Them That Love Me, Ye Shall Abide In My Love, The Father Himself Loveth You, Continue Ye In My Love, Love Is Of God, God Is Love, His Love Is Perfected In Us, He Hath Set His Love Upon Me. 34 pages.